Joe Johnson Equipment has added Jetstream waterblasters to its industrial products offering. 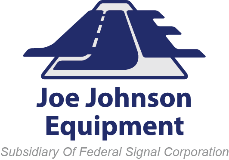 JJE is now your Canadian coast to coast authorized dealer, for Jetstream equipment sales, service and rentals. Jetstream is a leading manufacturer and distributor of industrial high-pressure water blasting equipment. They offer a complete line of skid and trailer-mounted pump units, control guns, valves, hoses, fittings, replacement parts, nozzles and safety gear. Recently, Jetstream introduced an innovative new product to the industry. “The Jetstream TwinForce is a powerhouse solution functioning as a large-capacity 650 hp unit or as two 325 hp independently run units,” said Lena Stoots, product manager at Jetstream. “The versatility of our system provides the contractor with the ability to bring two units into the space of one for virtually any application.” Like all Jetstream waterblast systems, the TwinForce 650 hp unit is built around the versatile UNx® fluid end waterblast system. Contractors appreciate the superior performance, durability, flexibility and ease of maintenance of the UNx fluid end system. With the interchangeable UNx fluid end design, operating pressures from 8,000 to 40,000 psi can be changed in minutes. Making Jetstream readily available to Canadian hydro blasting companies is one more way JJE is proud to serve our customers. For more information on Jetstream, or to book a demo, contact your local JJE Branch today!